Real Estate business always needs to be up to date. For which, you need to ensure that your site looks modern and provides customers with all the functions that can be used by them to make decisions easily. 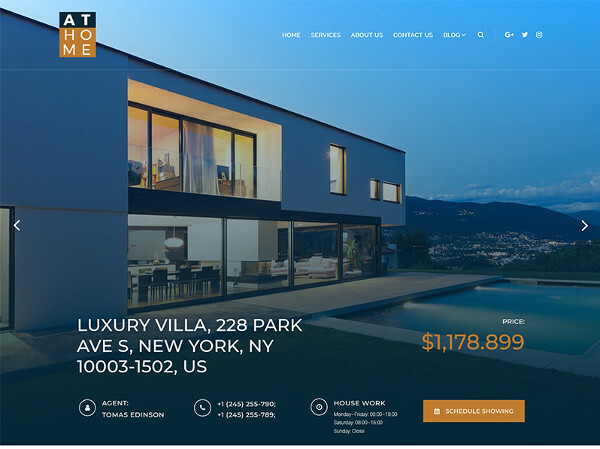 We present 15+ Best Real Estate Company Website Examples & Templates with themes for real estate sites to be used by real estate companies, mortgage companies and real estate construction companies. These themes are simple, downloadable, editable samples which are easy to understand and implement. These themes will give you new ideas to make your site more attractive and will help generate more business. This template will be of interest to companies and private entrepreneurs engaged in the construction, repair and modernization of homes, apartments and offices. The kit includes 3 types of home pages: Young Company, Maximum benefits and Construction business. After installation, be sure to consider all the proposed models. This template is suitable for the mortgage business and other types of lending companies. Thanks to the powerful Elementor page builder and JetElements plugin, any page of the site can be assembled like a simple puzzle. By marking the main information blocks of the page, you can effortlessly create unique pages in real time. To make the site easy and intuitive for your customers to navigate, use the premium Mega Menu plugin, which is installed when installing the theme. 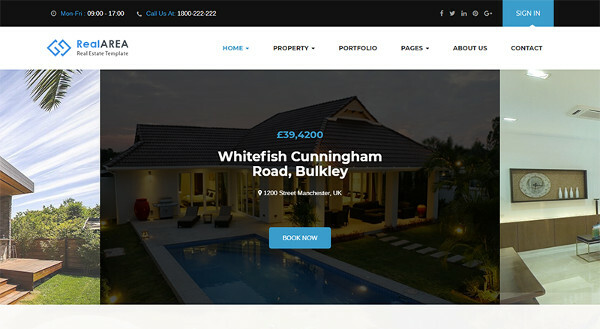 This template is suitable for a site that offers templates for property building from the ground up, development etc. In order for the site visitors to quickly get what they want, there is a wide variety of choices mentioned as well. 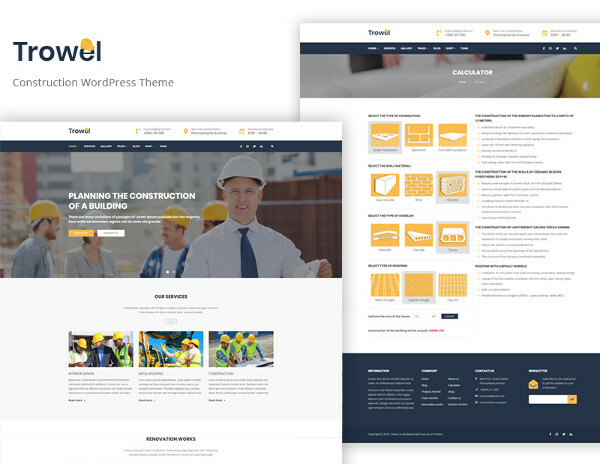 This theme is designed for the real estate business of construction, development etc. For this, the template contains modules for the demonstration of real estate with its characteristics. It is most useful for the demonstration of residential properties and stand-alone homes. 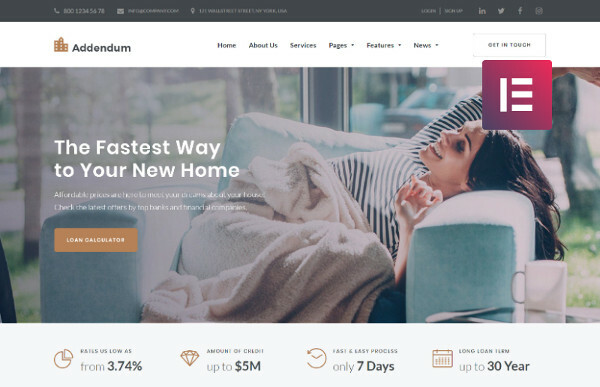 This is another quality theme for real estate. This is suitable for real estate builders, private realtors and other verticals of real estate. Beautiful attractive design looks equally good both on large screens of computers and on the mobile version. The theme includes page editing plugins: Elementor and JetElements. Also for quick launch of the site, developers have included a set of free themed photos in the theme. 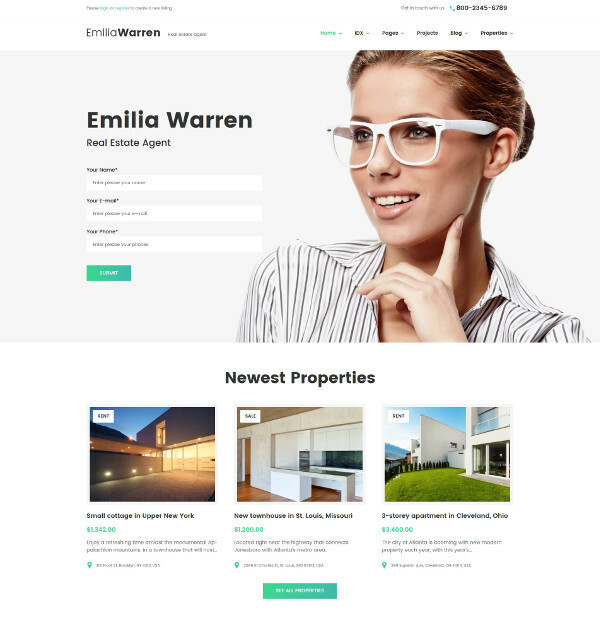 This is new modern theme for real estate business. It is suitable for companies that build apartments and houses. The topic provides all the possible functionality necessary for working with real estate. You can now show all the room inside and offer house options in a beautifully organized portfolio. On each property you will have a card with a detailed description of characteristics and design. Then your visitors will be able to quickly find a suitable option in a detailed search. Organize a customer feedback module; this will increase the level of trust in your business. 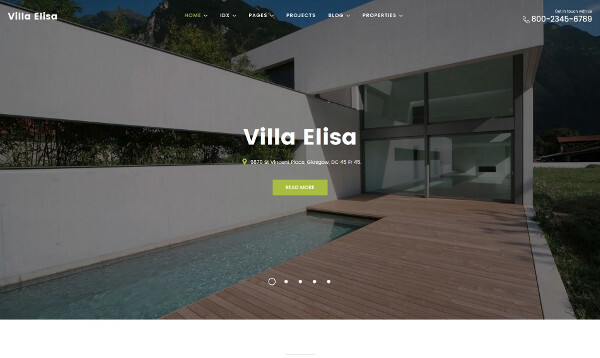 A quality template based on the Cherry Framework 5, it is suitable for real estate companies, as well as for any business related to real estate. For visitors on a real estate site, the main thing is a good search. This template offers advanced search and is very organized. Customers, guided by prompts in the search form, will be able to quickly filter and select the necessary options. Real estate firms, companies for offering housing rentals and businesses in other areas of real estate market can perfectly use this template. The built-in Power visual editor will help to develop high notch site pages. A selection of premium Cherry plugins will help you create modules familiar to your prospective customers: search, team, reviews, services, and more. For the site header there are 7 options to choose from. The template is adaptive, optimized for search engines and Google maps are also integrated into it. 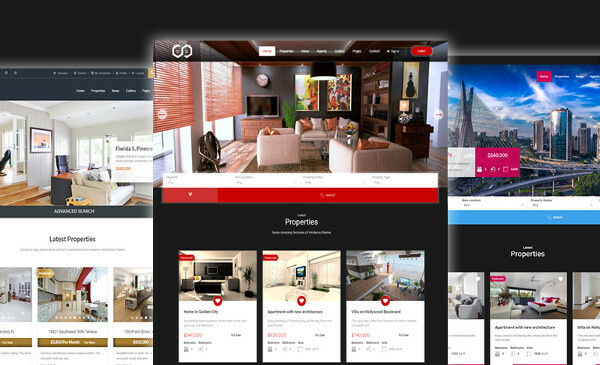 A popular template for sites for renting premises located in different points of the world. The topic includes a functional search for apartments, houses, apartments, offices for various requests. You can set different prices for one and the same property depending on the season or other settings. 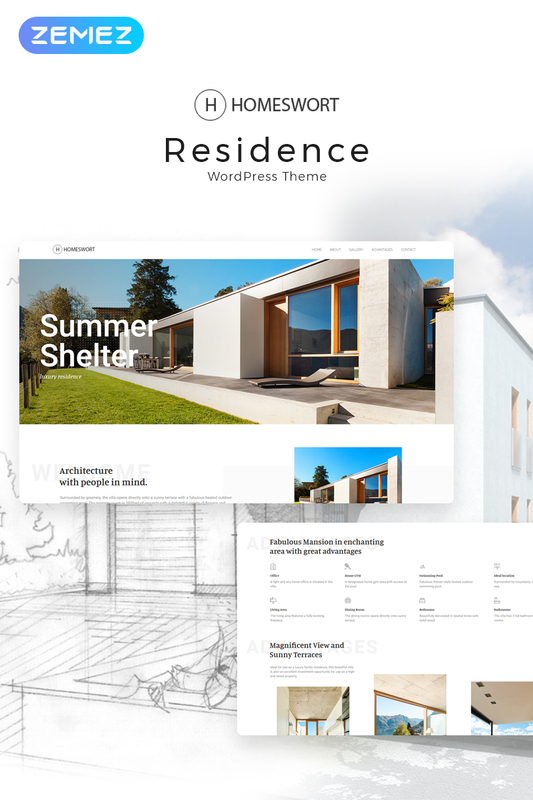 ‘Real Places’ is an ideal choice when it comes to Real Estate Business themes. You have the best features in here. A wide variety of search functions are available and that too within the modules that you have. Things look properly customized at every level. 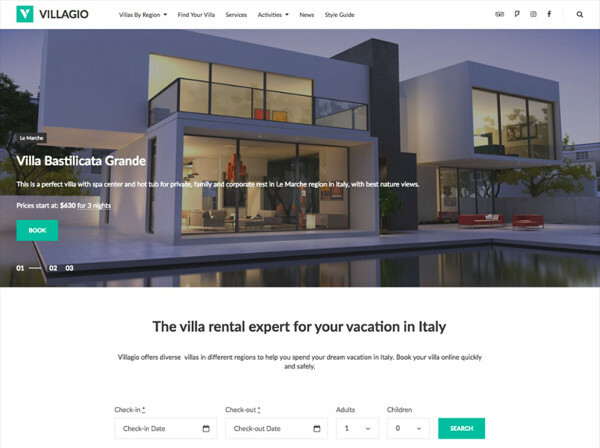 This qualitative theme is suitable for the websites of real estate agencies, real estate bureaus or a private realtors. There are 7 options for the header, custom widgets and layouts with different page structures. Website design quickly adapts to different types of screens without losing the quality of information presentation. A stylish template for real estate firm that is into building houses, apartments, offices and industrial premises. The theme uses the visual designs of the Elementor pages, which makes it much easier to work on the design of the site in general, and pages/entries in particular. If you are into apartments, houses, as well as office spaces for construction or buying/selling them, this is the theme for you. With this theme, you get the visual design of the Elementor pages, thanks to which pages can be assembled from blocks and modules. All design elements and content for this editor are contained in the JetElements plugin, which is also included in this theme. The adaptability of the theme to all sorts of devices is perfectly perceived by users, and SEO-optimization by search engines. To fully fill the site with information, use the footer and blog layouts provided by the developers. The title of the theme speaks for itself. 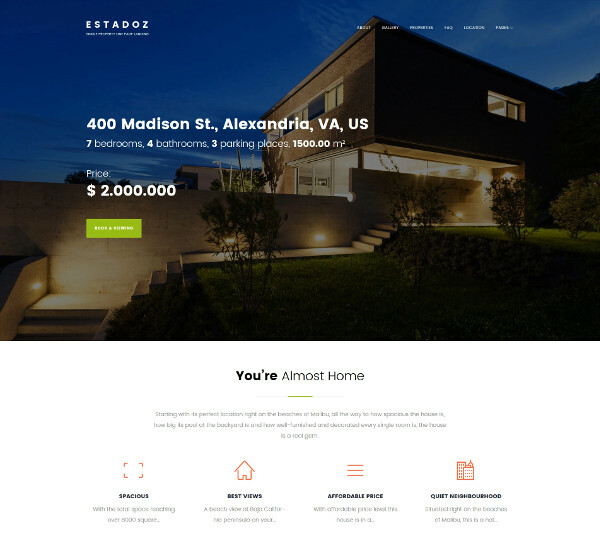 It gives a new look to a real estate site. 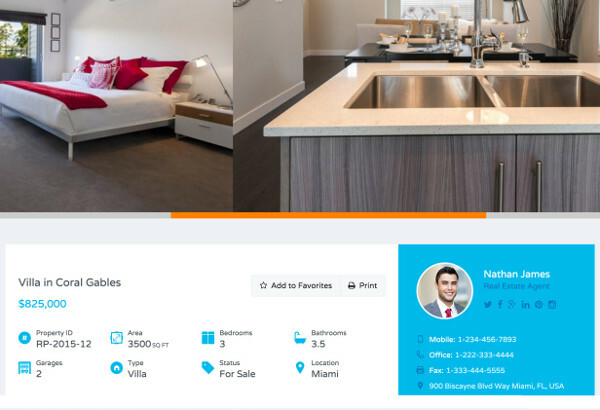 Your visitors will be pleasantly surprised: a lot of icons, tips, impressive apartment slideshows, their location and much more. Representing company agents and partners will find an increase in the level of trust in your site and business as a whole. The theme allows you to implement business projects of large real estate firms.